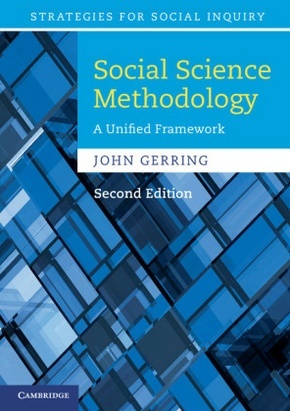 A new and thoroughly revised edition of this exceptional textbook, offering a one-volume introduction to social science methodology. Preface; 1. A unified framework; Part I. General: 2. Beginnings; 3. Arguments; 4. Analyses; Part II. Description: 5. Concepts; 6. Descriptive arguments; 7. Measurements; Part III. Causation: 8. Causal arguments; 9. Causal analyses; 10. Causal strategies: X and Y; 11. Causal strategies: beyond X and Y; 12. Varying approaches to causal inference; Part IV. Conclusions: 13. Unity and plurality; 14. Setting standards; Postscript: justifications; Appendix: a few words on style.